I guess everywhere in the world gets beautiful sunsets, but I am always convinced that Cache Valley, Utah has the prettiest sunsets. Add a beautiful couple with a beautiful sunset, and I feel like you have picture perfection! Scheduling a pre-wedding shoot in your dress/suit, also called a formal session, is a great way to ensure that you have beautiful photos before your wedding. One of the biggest benefits of this is that you can pick the time of day and location, whereas on the wedding day time constraints can be a problem in getting all the wedding photos you want. We highly recommend formal session. Not every couple chooses to do them and we always work hard to get beautiful pictures regardless of the situation, but we love formal sessions! It gives us an opportunity in a relaxed/laid-back manner to make sure we have beautiful photos. We can also travel a little further than we normally would on a wedding day. Sometimes to the mountains or a lake, etc that there is likely not going to be time to do on a wedding day. Sunset pictures are prettier with water or lots of sky, which is sometimes hard to be found on a wedding day, especially if your reception is set at a time that is in the middle of sunset. 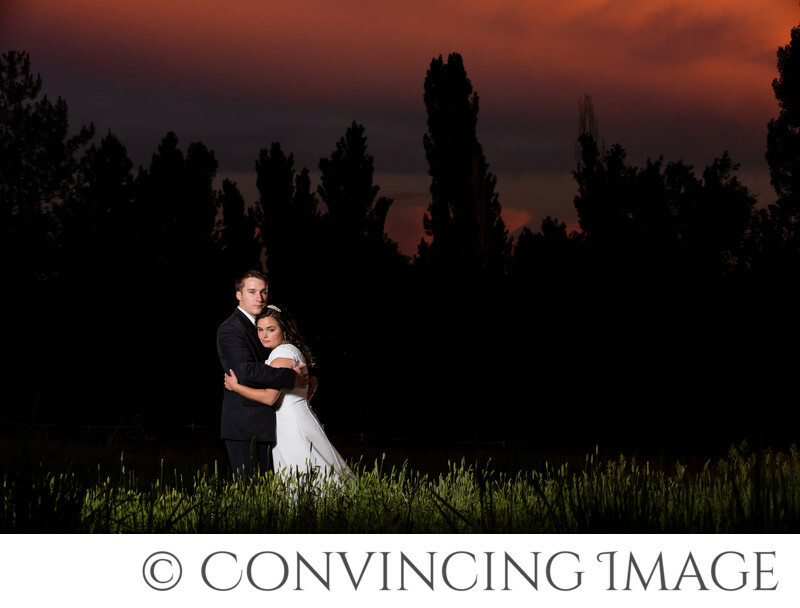 If you choose not to do a formal session, make sure you plan extra time during your wedding day for photos. Plan that time around optimal lighting to ensure that you get the most beautiful photos possible!